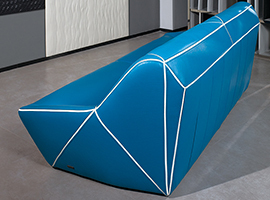 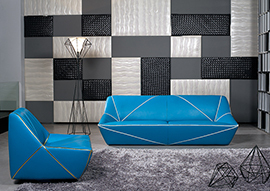 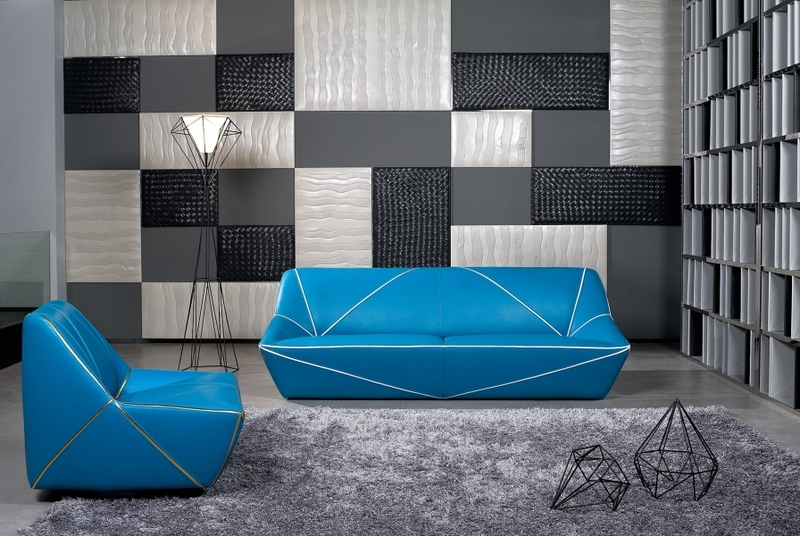 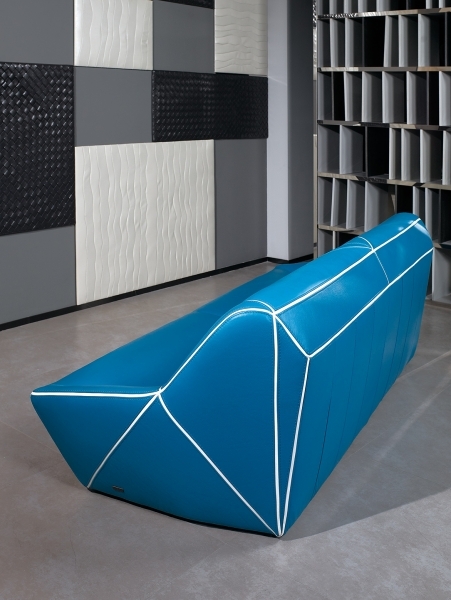 Model TRIANGOLO borrows the design elements of Model MULTIPLO (Sept 2012 Collection) and Model DIAMANTE (2014 Collection). 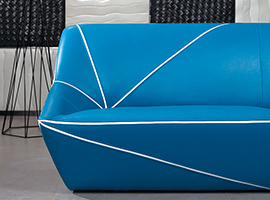 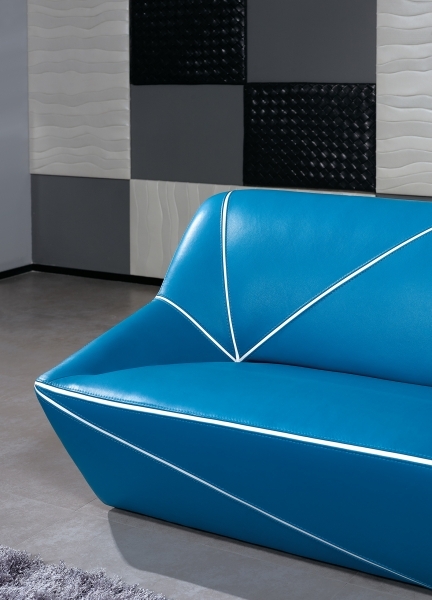 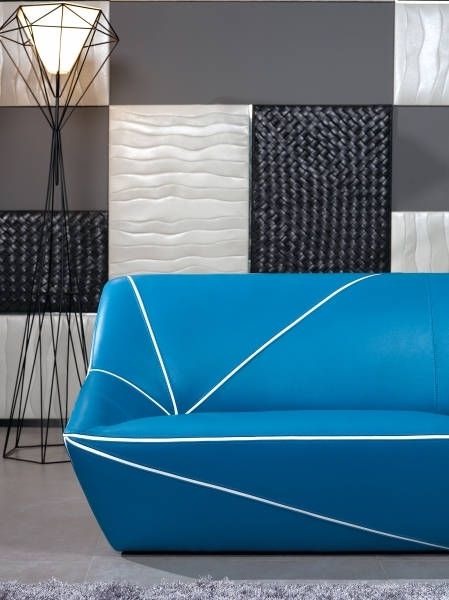 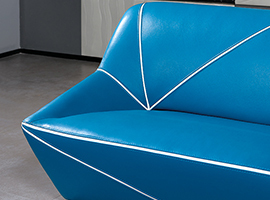 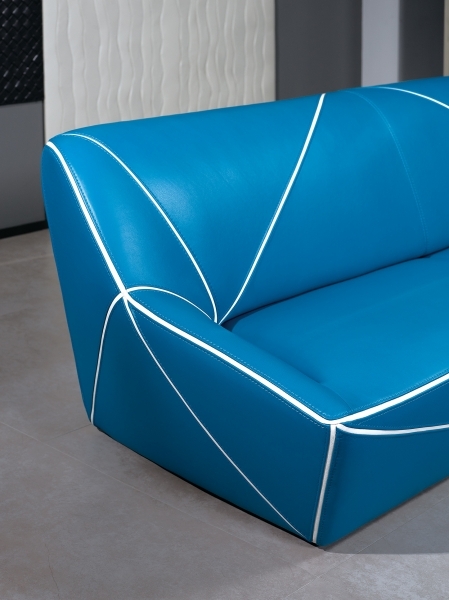 Its own design identity comes from the "contrast-strap pattern sewing" effect that forms a lot of triangular graphics throughout the back front, seat front and frame side of the sofa. 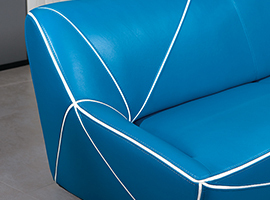 Contrast-strap pattern sewing is a technique while we cut a lot of long and narrow leather straps (about 3cm wide) and sew & stitch them with larger leather pieces of different geometric shapes (such as rectangles, triangles and so on) to create the shape and form for a particular design.